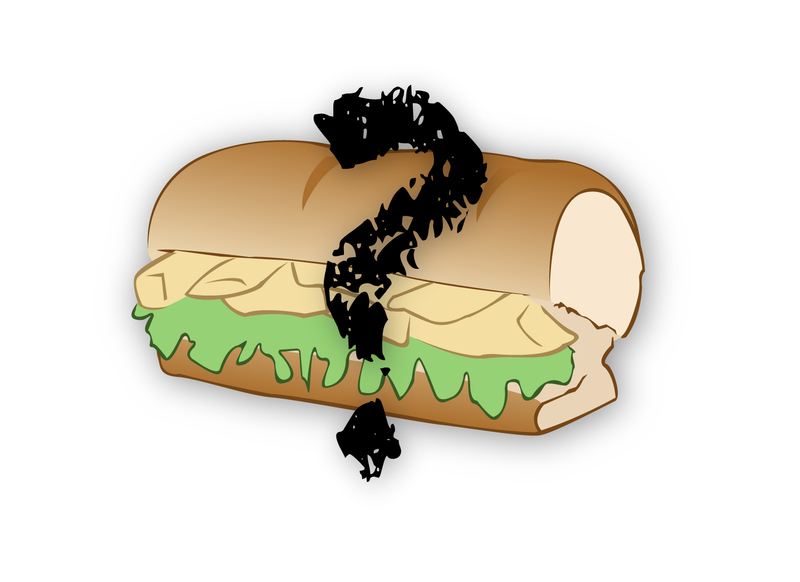 Bill's Blog: Wisdom Wednesday: Subway Chicken or Soy? Most of you have heard the news about Subway. According to tests performed at Trent University in Canada, the company’s chicken strips and oven-roasted chicken contained just 43% and 54% chicken DNA, respectively, consisting otherwise of soy and other filler ingredients. Subway denies the charges and has demanded a retraction from CBS Marketplace. According to Subway, its chicken strips and oven-roasted chicken contain less than 1% soy protein. Popular chicken sandwiches from Wendy’s, McDonalds, A&W and Tim Hortons were also included in the testing. All, with the exception of Subway, tested as “mostly” chicken, ranging between 85 and 90% chicken DNA. So what’s in processed chicken other than chicken? Well, it’s a long list of chemicals, fillers including high amounts of refined starches and sugars, but mostly soy. Soy has a number of health issues. In the Asian culture, people eat small amounts of whole, fermented, non-GMO soybean products. In the western culture, food processors separate the soybean into the protein and the oil, neither of which is safe to consume. Unfermented soy foods contain anti-nutritional factors such as soyatoxin, phytates, protease inhibitors, oxalates, goitrogens and estrogens. These chemical compounds inhibit digestion and disrupt the endocrine system. In small amounts, these chemicals are tolerated by the body, but many Americans now eat a large amount of soy. Soy is the third most common food allergen. Only wheat and dairy allergies are more common. This is directly related to the rate of consumption. Soy is a component of most processed food. A vast majority of the soy grown in the U.S. is genetically engineered to be herbicide resistant. That way farmers can spray Roundup directly on the crops to kill the surrounding weeds without killing the soy plant. Although the World Health Organization (WHO) has classified Roundup as a carcinogen, the FDA reversed its initial findings and currently classifies Roundup as biodegradable and therefore safe. During processing soybeans are acid washed in aluminum tanks, which leaches the aluminum from the tank into the final soy product. Soy has been linked to breast cancer, thyroid dysfunction, infertility, heart disease, food allergies, infant abnormalities and cognitive decline. Chicken has its own issues. Concentrated animal feeding operations (CAFOs) produce chicken that is filled with antibiotics and hormones. The excessive use of antibiotics in animal farming, including poultry, has led to drug-resistant infections, including the bird flu. Whether or not Subway chicken is half soy filler and chemicals, the chicken they use isn’t much better. Avoid processed food. Stick with single ingredient foods whenever possible.